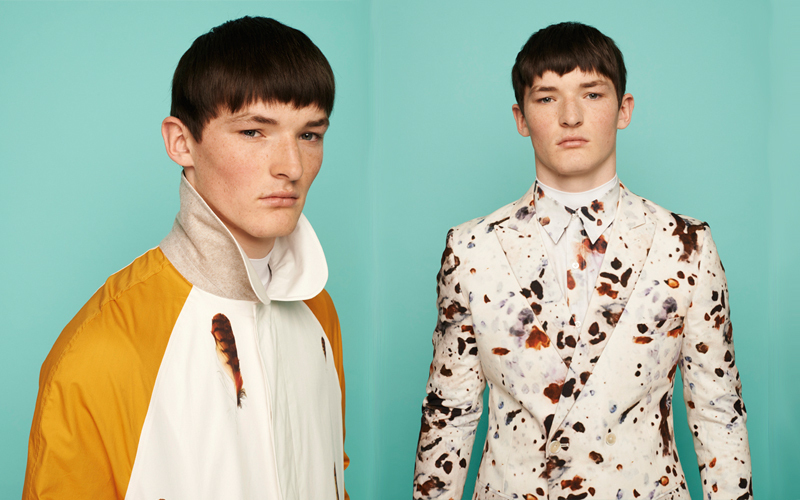 Over the past three years, British design duo Agi & Sam have succeeded in injecting the landscape of British menswear with their unique sense of style and humour. When I started seriously considering starting up my own blog a few years ago, Agi & Sam was one of the first British labels I was instantly drawn to. Seeing the models come down the runway clad in those vivid digital prints that have become part of the Agi & Sam signature was a really captivating sight. The ladies might cling to their Mary Katrantzou and Peter Pilotto prints but I’m pretty sure Agi & Sam have been really instrumental in making print cool again for menswear. 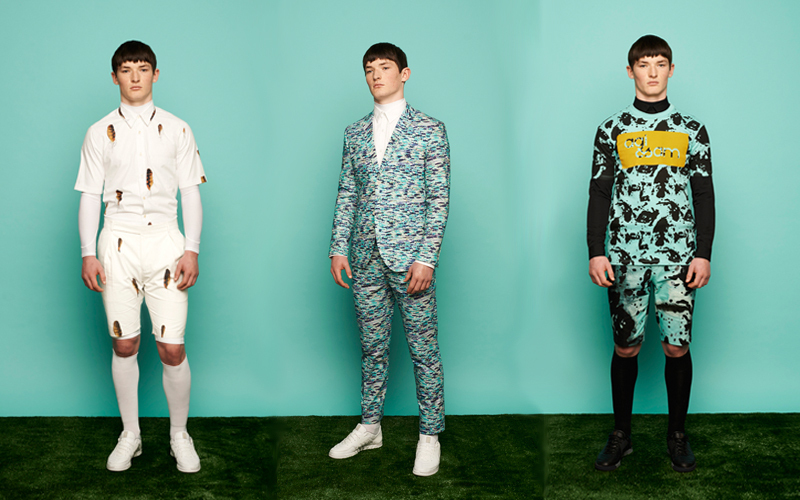 Three seasons on and the buzz surrounding the East London designers is phenomenal. 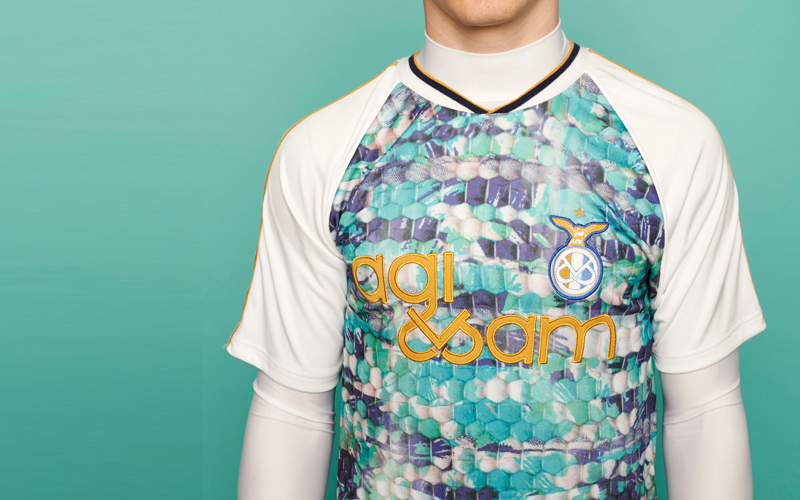 Releasing an exclusive collaboration with high street powerhouse, TOPMAN is a stroke of genius. With London Collections: Men fast approaching, this is the perfect time to introduce their label to a much wider audience. The designers took inspiration from their East London neighbourhood and the sporting spirit of the 2012 Olympics as the starting point for their 20 piece collection. What better place to start than Britain’s favourite sport? Yeah we’re talking football! The duo created a complete kit for their imaginary team, ‘The Owls.’ Watercolour feathers, speckled egg shells and owls are motifs used across the entire collection. I really love the way they’ve taken a stereotypically masculine idea of sportswear and supercharged it with their tongue-in-cheek humour and expertise in print and colour. Aside from the sportswear, the collection boasts a strong range of suits and shirting in slick silhouettes. As a HUGE fan of the watercolour ducks and chickens that punctuated their AW12 runway collection I’m chuffed that they've added a charming avian touch to this new capsule collection. I’m totally obsessed with the white, owl print football jersey and that double breasted suit in the speckled egg print. ‘The Owls’ collection launches on June 4th. Side Note: It took me ages to find out the name of the handsome brunette modeling this collection. For anyone who cares, his name is Tom Middlehurst. I love his boyish charm, chiseled cheekbones and freckles...definitely my male model of the moment!